I tried to find a good McDonald's Bolivia photo I could add some witty comments to, but got nothing. Sorry. Here's some cease-and-desist bait instead. For a short period before returning home to Australia, I was part of Cochabamba’s Mac Club. I’m not proud of it. For those with social lives, girlfriends and healthy tans from time spent outdoors, it was in fact a club for Apple Macintosh enthusiasts. I felt sorry for any Windows clubs around town, because they must have been so NERDY. And full of NERDS. Ours met in a hotel and the girl behind the front counter was the main reason for our large attendance every week. I bet half of those nerds had never even seen a mac. Or a girl. 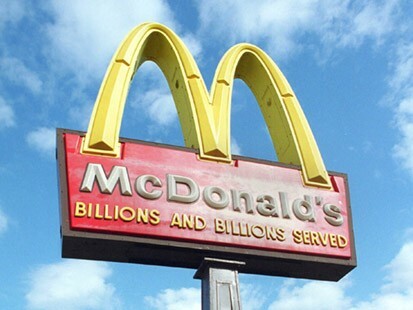 Anyway, back to the point… It was 1996, or thereabouts, which meant it was finally time for McDonald’s to enter Bolivia. As you can imagine, such a move would pose many serious questions for any small developing nation. The Bolivian Government went with: “Will they be using our potatoes?” And “will there be hot sauce available to customers?” Yep, they had it covered. In the meantime, a knockoff called McDonalb‘s had managed to survive for years in Cochabamba, outside the reach of lawyers and lawsuits, but it just wasn’t the same. Mickey D’s opened a restaurant (restaurant is such a broad term) with much pomp and circumstance, in La Paz, Bolivia’s capital. About a 40 minute flight by jet from Cochabamba, or 127 terrifying hours by bus. I remember hearing at the time that people were lined up around the block on the day they opened. That’s cultural differences for you: In Australia, if the lines were even 3 people deep we’d go someplace else, cursing the day Ronald McDonald was born and inciting violence against old people, for something different. And probably be healthier for it. 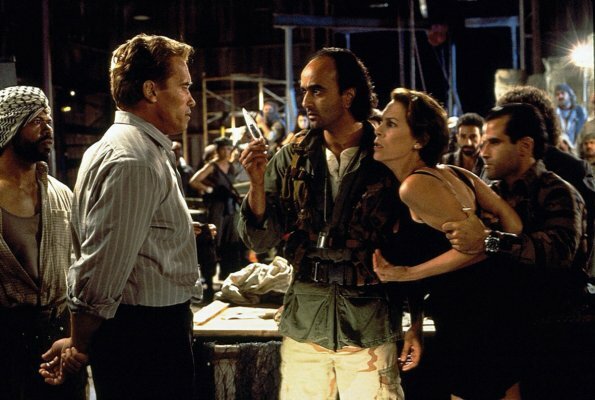 At one of our amazingly exciting mac meetings, José, the club’s founder who looked like one of the terrorists from True Lies, happened upon a marvelous idea. We couldn’t obviously FLY to McDonald’s in La Paz. That was a ridiculous amount of time, effort and money for something like a hamburger! So stupid a notion! What we could do, was call some random taxi company in La Paz, have them buy our order for us, and drive it out to the airport. The freight guys would then ship it on down to us on the next flight, and someone would pick it up from the local depot. So, ashamedly, that’s what we did. I think it took our stuff about 3 hours to arrive, plus I was late, so mine sat gestating in the rapidly cooling box for a further 45mins. I was the only one there who’d ever had McDonald’s though, so I didn’t have the same level of raw excitement as some of the other guys, and could hold off the craving. By the time I got there it looked like the Russian mob had shot up a grocer’s in Cupertino. There was lettuce and queasy nerds everywhere. The best part? Tasted exactly the same. Stuck that burger in the microwave for 30s and even though it was now of debatable quality, having travelled about 200 miles, was about 4 hours old, and looked like something off the floor of a taxi, it could have been a fresh Big Mac! The worst part? I think it cost me $US67. Skip forward 6 years and McDoanld’s was packing up and going home. Why? Well, part of the official reason was that even if you weren’t insane and didn’t call some random taxi company in La Paz, and didn’t have them buy your order for you and drive it out to the airport, and didn’t have the freight guys ship it down to you on the next flight, and not pick it up from the local depot… (phew!) it was STILL cheaper just to get some real food somewhere else. Like next door. Better food: $US7 or so got you some actual Bolivian food in a nice restaurant. McDonald’s blamed the exit on small profit margins. I can offer some insight: It’s a tough decision tossing up between upsizing your fries or paying your next week’s rent. They may as well have opened a Tiffany’s in Bolivia. They’d have small profits too. That was the official reason for leaving anyway. Everyone in the country knew it was just because McDonald’s were importing potatoes from somewhere else so the government stepped in and laid the smack down. They’re proud of their potatoes. McDonald’s did garner a small following in Bolivia in the short fling they had together. There’s even a Facebook Group asking them to come back. You never know. I’m not totally against McDonald’s. Remember the documentary that guy with the funny name made, trying to live on McDonald’s 3 meals a day until he looked like Michael Jackson? When it came out, I was back in Australia. Disgusted, I could only watch the first half of it. By then, I was SO desperate for McDonald’s, I flew down in the car, ordered drive-thru and ate 4 cheeseburgers in the car on the way back home. I think that’s an outcome the director would have been proud of. I’m also the guy that ordered a Big Mac cross-country via airline courier. Not too many of those around I can assure you. And I’m only just noticing the completely unintentional segue from Mac Club to Big Mac. Yeah. Posted in Bolivia, FoodTagged cochabamba, flying, la paz, mcdonaldsBookmark the permalink. I hear Apple are leaving Bolivia for similar reasons.